With its new sales organisation "Rutronik24", the German distributor, Rutronik, is now looking to address a new customer base with what it describes as average component requirements. Rutronik24 is based on the e-commerce-platform www.rutronik24.com. Small and medium-sized enterprises will now have access to the complete Rutronik portfolio as well as additional services and support. Anglia Components has significantly expanded its industrial, PCB and high rel connector portfolio following its appointment as UK and Eire distributor for Harwin. Under the agreement, Anglia will be able to offer its customers the full Harwin range including the surface mount EZ-BoardWare range, pin headers, sockets and spring probe connectors. 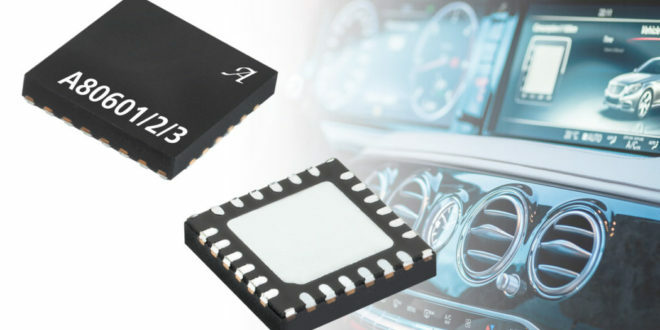 Luso Electronics Distribution is making available a series of small 5W power-density single-output AC-DC converters from CTC that offer DC outputs ranging from 3.3V up to 25V and power efficiencies of up 80%. Dual-output devices offering +/–5, 12 and 15V are also available. Microsemi Corporation and Future Electronics have announced that the two companies have entered into a broad-based, global distribution agreement. Under the terms of the agreement, Future will provide worldwide sales, design support and fulfillment services for Microsemi’s complete line of semiconductor systems solutions, excluding certain government products and services. The specialist high technology distributor, MSC Gleichmann, has announced that it is now providing full support for Atmel’s new SAM D20 microcontroller with immediate availability of both devices and evaluation kits. The SAM D20 embedded Flash microcontroller family leverages Atmel’s experience in AVR- and ARM-based products by combining proven peripheral technology with an ARM Cortex-M0+ processor core to provide a differentiated solution for industrial, automation and smart-metering applications. TTI, a specialist distributor of passive, connector, electromechanical and discrete components, is now stocking surface mount wire management cable clips from Harwin. Specifically designed to be automatically placed and soldered directly to the PCB, EZ-Cable Clips have been designed to save time and money. Global distributor, Digi-Key Corporation, has announced that the company has received registered trademarks for the phrases, “Prototype to Production” and “From Prototype to Production”. The move marks the company’s move in developing and fine tuning an innovative distribution model in the electronic component industry. DMTL has made available a limited number of engineering kits which will introduce designers to the features of Suncon’s EP-Cap polymer hybrid electrolytic capacitors. Designed to suit a wide range of commercial and high reliability applications including automotive, power supplies and metering systems, the EP-Cap is a polymer aluminium electrolytic capacitor with a hybrid cathode formed by combining an electrolyte and electro-conductive polymer with high conductivity. Cyntech Components, a specialist supplier of electro-mechanical components and power supplies, is making available the new Y-Circ P connector series from Yamaichi Electronics. 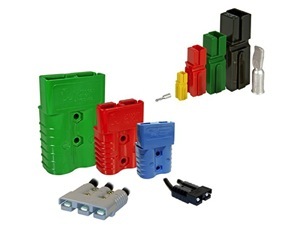 This metal-bodied circular connector design is mechanically and electrically compatible with industry comparable standard connectors but offers a significant space-saving advantage by being 11mm shorter in overall length than competitive solutions. 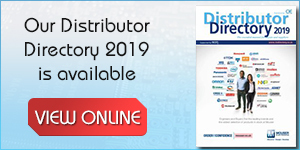 Digi-Key Corporation, has signed an agreement to serve as exclusive distributor of the latest low-capacitance silicon carbide (SiC) Schottky rectifiers from GeneSiC Semiconductor. 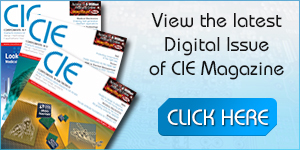 These rectifiers are specifically targeted towards voltage multiplier circuits and high voltage assemblies used in a wide range of x-ray, laser, and particle generator power supplies.